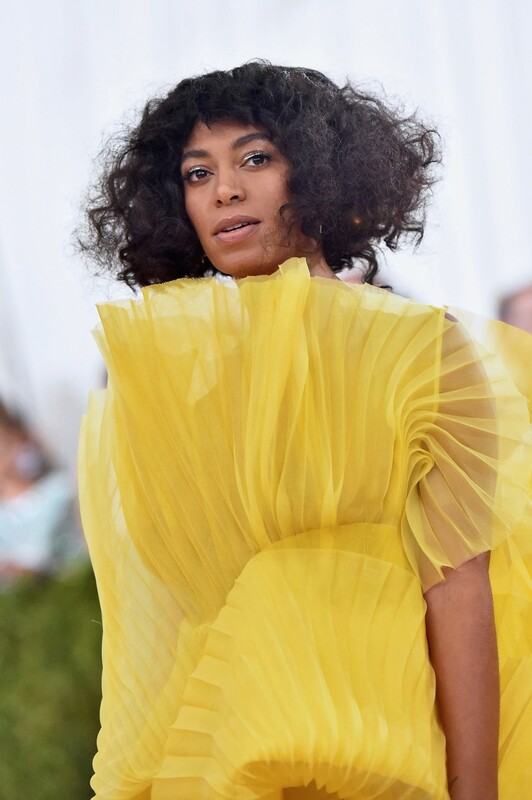 Earlier tonight, Solange shared a personal essay on her Saint Heron blog about the daily hostility she faces as a black woman occupying predominantly white spaces. In "And You Belong? I Do," Solange recounts instances in which she has been cast away from physical spaces because of her race. "You don’t feel that most of the people in these incidents do not like black people, but simply are a product of their white supremacy and are exercising it on you without caution, care, or thought," Solange writes. Her essay primarily stems from an experience in which Solange, her husband, her 11-year-old son, and his friend attended a Kraftwerk concert last night. Solange, initially excited to teach her son about the origins of hip-hop, were met nasty words and attitudes from 4 older white women from the box behind them. After they yelled at Solange to sit down, one of them allegedly threw a lime at her back. Solange then describes her shock from the incident. While Solange's tweets outlining the Kraftwerk concert incident are now deleted, Solange did go to Twitter to share her essay and her message. Speaking on behalf of minorities, Solange writes, "...in many white spaces... We don't 'bring the drama'.... Fix yourself." She also shared examples of backlash and support she had already received from writing the piece. View below. Read Solange's full essay here.